The nuts must not be reused. 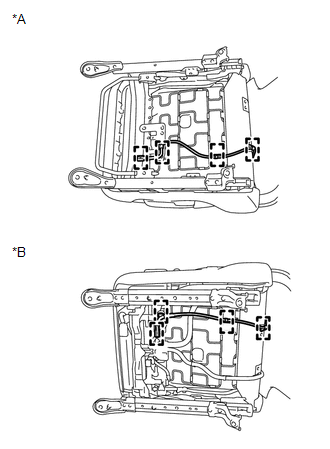 Make sure that the front seat frame assembly with adjuster is not deformed. If it is, replace it with a new one. 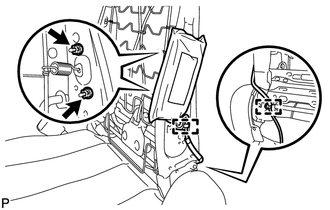 (a) Install the front seat side airbag assembly with 2 new nuts. (b) Engage the 2 clamps to connect the wire harness. (c) Engage the 4 clamps to connect the wire harness.